Wafers - Buiscuits - Cookies etc. 7 train, get off at Vernon - Jackson Ave stop, go to Jackson Ave exit. 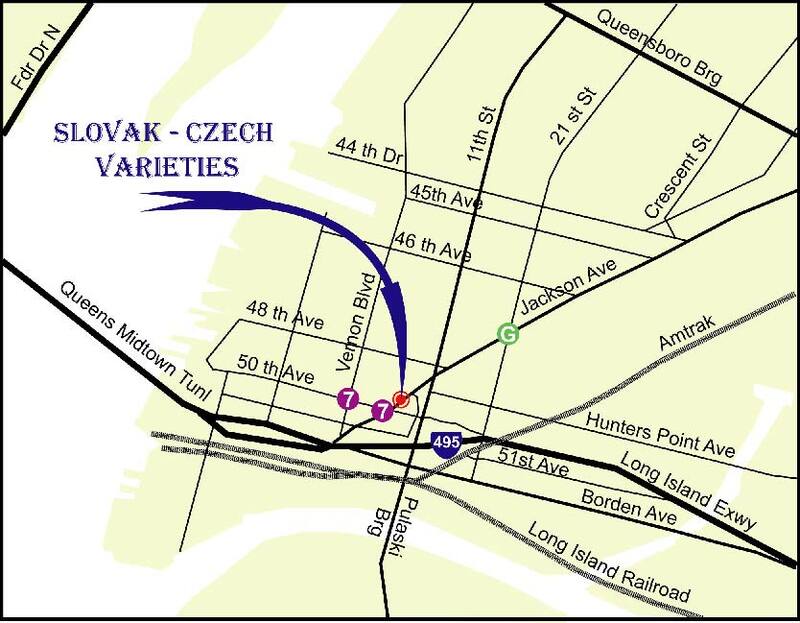 We are located next to the Chase Manhattan Bank. G train, get off at 21st Ave stop. Walk toward Pulaski Brg on Jackson Ave.
Exit Van Dam Str (last exit before tall to Midtown Tunnel), at the lights go straight. Go straight on Borden Ave and turn right onto Vernon Blvd. (Junction is located aprox.150 ft after L.I.R.R. crossing).Immediately turn slight right onto Jackson Ave.
Take the Borden Ave/Pulaski Br exit. Turn right onto Borden Ave, right onto Vernon Blvd and slight right onto Jackson Ave. Turn slight right onto ramp, stay left at the end of the ramp, on 21st Str. turn left. Turn slight right onto Jackson Ave.
Take the Humbolt St exit #33 toward McGuinness Blvd. Turn slight left to take the Meeker Ave ramp toward McGuinness Blvd North. Merge onto Humboldt St (Humboldt St becomes McGuinness Blvd S). Turn slight left onto Pulaski Bridge. Keep left to turn sharp left onto Jackson Ave.